Dr. Omid Safi introduces the Sufi Heart Podcast and explores the path of radical love found in the Sufi tradition. What is Radical Love? (Opening) – Omid reflects on the aspect of all-encompassing love that distinguishes the Sufi tradition. He talks about the exchange of love between ourselves and the divine that is celebrated in the beautiful teachings, stories and poems from the Sufi tradition. Stepping into the Fire (6:40) – What does it really mean to pursue the spiritual path without self-interest and to be after God’s own heart instead? 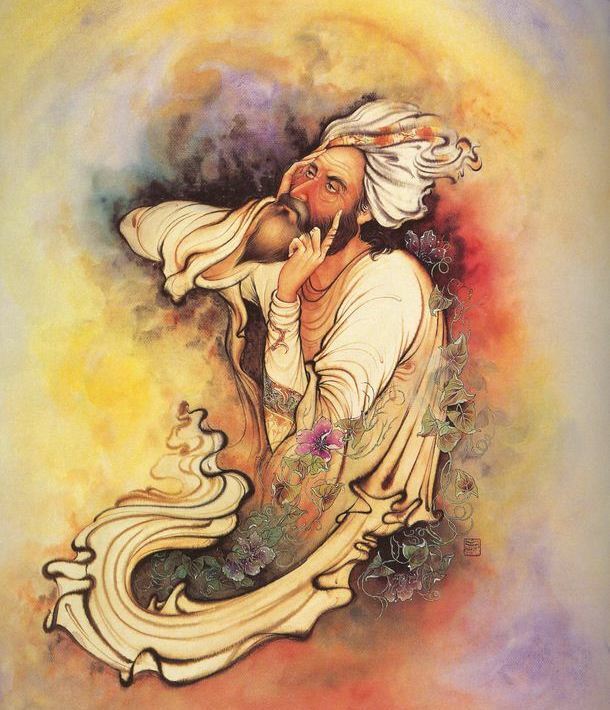 We hear the story from 12th-century Sufi poet Farid ud-Din Attar of a luminous saint that dreams of the day that all men must stand before God in judgment and the choice that is given between desire and true devotion. Omid discusses journey we can undertake to soften the ego’s desires in this life and the possibility of experiencing God in the here and now. Love: Lost and Found (21:30) – There is a great suffering that comes when we feel cut off from the kind of love expressed by the Sufi poets. For some that love has never been known, while others have tasted love’s potential but feel like that love has left them for good. We look at the connection that we can form with others when we pursue love from a selfless place. One Love (30:40) – The path of radical love took some really bold stances against the cultural norms it originated from. Omid shares the history of the Sufi path and talks about what distinguishes it from the traditional beliefs and practices of Islam. He looks at what the path of love teaches us about how we as human beings must love and serve on another in order to love and serve God. Through a blend of instruction, practice, and ritual inspired by Jungian dreamwork and Sufi mysticism Toko-pa Turner will be offering a deeper look at some of the core practices in her approach to dreamwork this January 11 – 13, 2019 at 1440 Multiversity. Visit 1440.org/BeHereNow to register!